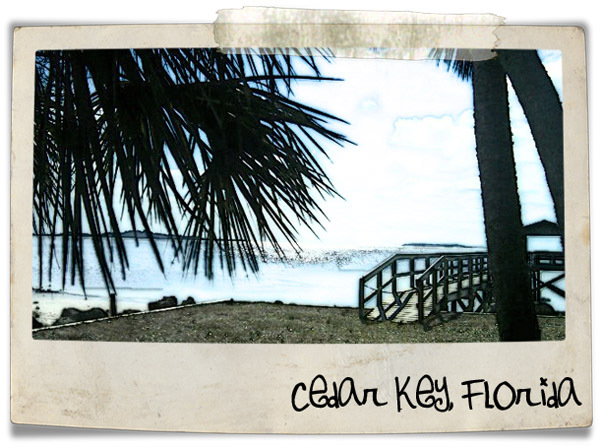 Solitude is many things and I found a few of them on a trip to Cedar Key last month! My friend Ronnie was kind enough to let me stay at her condo which was right on the Gulf of Mexico. I spent a few days waking to the warm sunshine at my own leisure, drinking coffee on the patio while watching and listening to the birds. I read Jane Eyre, watched movies, went on a few walks and strolled around town taking pictures. It was just the rest I needed! Sometimes the mind gets clogged and needs to be cleared so new and fresh ideas and calm thoughts can replace the clutter! I took this picture on one of my walks around the key!